Helps students of the Scriptures understand major interpretative approaches to biblical wisdom and poetry, and draws parallels to other Near Eastern cultures. - Publisher Written for pastors with a relatively elementary knowledge of the Old Testament. Includes accounts of how this portion of the Bible has been interpreted throughout history. Easily incorporated into individual sermons. 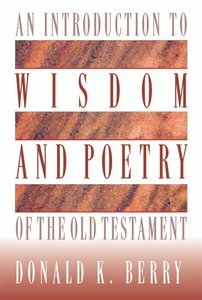 About "Introduction to Wisdom and Poetry of the Old Testament"
Written for pastors with a relatively elementary knowledge of the Old Testament. Includes accounts of how this portion of the Bible has been interpreted throughout history. Easily incorporated into individual sermons.